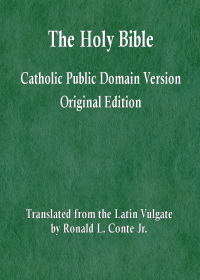 Unam Sanctam is also important as an example of the use of Papal Infallibility prior to the Vatican I definition of the same (Unam Sanctam, n. 9). Unam Sanctam was issued in Latin. A number of different translations from Latin to English are available, including my translation and one by Cardinal Manning in 1875. However, the most common translation on the internet has this citation: “Transcribed by Bob Van Cleef, from a doctoral dissertation written in the Department of Philosophy at the Catholic University of America, and published by CUA Press in 1927.” Unfortunately, this translation — at least as it was transcribed onto the internet — contains a translation or perhaps merely a typographical error. Due to the nature of the internet, this erroneous translation has been widely disseminated. * Cardinal Henry Edward Manning, (Archbishop of Westminster, England), The Vatican Decrees in their Bearing on Civil Allegiance, (Catholic Publication Society: New York, 1875), p. 172-173. * Fr. Luigi Tosti, (Benedictine Monk, Abbey of Monte Cassino, Italy), Storia di Bonifazio VIII e de suoi tempi, Volume II, 1846; p. 304-306. * Fr. Luigi Tosti, History of Pope Boniface VIII and his times, with Notes and Documentary Evidence, in six books, (Christian Press Association, New York: 1911) p. 537-538. * Fr. Carl Mirbt, (professor of Church history at the University of Marburg, Germany), Quellen zur Geschichte des Papsttums (‘Sources for the History of the Papacy’), (Freiburg und Leipzig: Marburg, 1895) p. 88-90. * Philip Schaff, History of the Christian church, Volume 5, (Scribner: New York, 1910), p. 27-28. Uterque ergo est in potestate Ecclesiae, spiritualis scilicet gladius et materialis. Sed is quidem pro Ecclesia, ille vero ab Ecclesia exercendus. Ille sacerdotis, is manu regum et militum, sed ad nutum et patientiam sacerdotis. I’ll explain the text and its translation in a manner that will, hopefully, be understandable to those readers who do not know Latin. Uterque ergo est in potestate Ecclesiae, spiritualis scilicet gladius et materialis. Therefore, both are in the power of the Church, namely, the spiritual sword and the material. The translation of the above sentence is not in dispute. The sentence states that the Church has two types of authority: spiritual and material (or temporal). Thus, the Church can issue doctrines, under Her spiritual authority, and also rules and rulings, under Her temporal authority. The temporal authority of the Church also includes overseeing temporal governments, human laws, and society in general. The Church permits temporal governments to exercise substantial temporal authority. Even so, the Church retains the authority to correct any errors in government and society, as Unam Sanctam later explains: “Therefore, if the earthly power goes astray, it will be judged by the spiritual power….” (Unam Sanctam, n. 7). Sed is quidem pro Ecclesia, ille vero ab Ecclesia exercendus. Ille sacerdotis, is manu regum et militum, sed ad nutum et patientiam sacerdotis. Therefore, both are in the power of the Church, namely, the spiritual sword and the material. But indeed, the latter is to be exercised on behalf of the Church; and truly, the former is to be exercised by the Church. The former is of the priest; the latter is by the hand of kings and soldiers, but at the will and sufferance of the priest. Therefore, both are in the power of the Church, namely, the spiritual sword and the temporal sword ; the latter is to be used for the Church, the former by the Church ; the former by the hand of the priest, the latter by the hand of princes and kings, but at the nod and sufferance of the priest. The meaning is fairly obvious. The latter (material or temporal) authority is exercised by temporal governments, but on behalf of the Church. In other words, secular society is, in the view of God, under the authority of the Church, which can teach and correct human laws, governments, and society in general. The former (spiritual or teaching) authority is exercised directly by the Church. The former (spiritual or teaching) authority is in the hand of ‘the priest’, in other words, of the Pope, Cardinals, Bishops, and priests. The latter (temporal authority) is in the hand of secular leaders, but always under the oversight of ‘the priest’, i.e. the leaders of the Church. This teaching on the two types of authority of the Church is clear and simple. 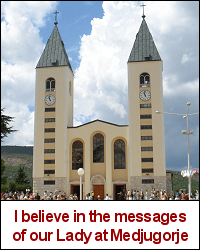 It should not be controversial to any well-instructed Catholic. Both, therefore, are in the power of the Church, that is to say, the spiritual and the material sword, but the former is to be administered for the Church but the latter by the Church; the former in the hands of the priest; the latter by the hands of kings and soldiers, but at the will and sufferance of the priest. The difference between the correct and incorrect translations is the reversal of the first use of ‘former’ and ‘latter’. Instead of having the latter (material or temporal power) exercised by secular governments on behalf of (or ‘for’) the Church, the erroneous translation has the Church exercising that material power. This leaves the ‘former’ spiritual power to be exercised ‘for’ the Church, rather than ‘by’ the Church. The second use of ‘former’ and ‘latter’ makes the error even clearer. The former (spiritual) authority is in the hands of the priest; this is correct. The Church exercises all of Her spiritual authority directly; it is not exercised ‘for’ the Church by others. The latter (material or temporal power) is, to a large extent but not exclusively, exercised by ‘kings and soldiers’, i.e. by secular governments. Of course, the Church retains the direct exercise of temporal authority over discipline and temporal matters within the Church, and the authority to judge the actions of secular governments. So a conflict arises in the erroneous translation between the first and second uses of former and latter. The first use of latter has the material power erroneously exercised ‘by’ the Church; but the second use correctly asserts that this latter power is exercised ‘by the hands of kings and soldiers’. It is an obvious error. Either a power is exercised by the Church (‘the priest’), or it is exercised by secular governments (‘kings and soldiers’) under the purview of the Church. And if the former spiritual authority is exercised ‘for’ (not ‘by’) the Church, then someone else would be exercising the Church’s spiritual authority, which cannot be the case. The erroneous translation has transposed the first use of the terms ‘former’ and ‘latter’. The latter material or temporal authority is exercised by secular governments ‘on behalf of’ the Church. And this is why the rest of the quote says that this same ‘latter’ authority is exercised “by the hands of kings and soldiers, but at the will and sufferance of the priest.” The temporal authority of secular governments is under the higher authority of the Church; that power is exercised ‘for’ or ‘on behalf of’ the Church by those governments. The former spiritual authority is exercised ‘by’ the Church directly. So the translation should read: “latter … former … former … latter”. The erroneous text reverses the order of the first two, as if it said: “former … latter … former … later”. But the erroneous translation has reversed the first two terms. The error is simple, blatant, inarguable, and makes the meaning of the text contradictory. And yet this error continues to persist and spread online. Source: Cardinal Henry Edward Manning, The Vatican Decrees in their Bearing on Civil Allegiance, (Catholic Publication Society: New York, 1875), p. 172-173. Source: Documents of the Christian Church, ed. Henry Bettenson, 2nd ed. (Oxford, U.K., Oxford University Press, 1963), pp. 159-161. Both are in the power of the Church, the spiritual sword and the material. But the latter is to be used for the Church, the former by her; the former by the priest, the latter by kings and captains but at the will and by the permission of the priest. Source: “The Bull Unam Sanctam of Boniface VIII,” in Translations and Reprints from the Original Sources of European History, vol. III, no. 6, (Philadelphia: The Department of History of the University of Pennsylvania, 1912), 20-23; reprinted in ed. John L. Beatty and Oliver A. Johnson, Heritage of Western Civilization, vol. 1, 7th edition, (Englewood Cliffs, NJ: Prentice Hall, 1991), 319-21. Both, therefore, the spiritual and material swords, are in the power of the Church, the latter indeed to be used for the Church, the former by the Church, the one by the priest, the other by the hand of kings and soldiers, but by the will and sufferance of the priest. Source: The Church Teaches: Documents of the Church in English Translation, by the Jesuit Fathers of St. Mary’s College, St. Marys, Kansas. Imprimi Potest: Daniel H. Convay, S.J., Provincial, Missouri Province; Nihil Obstat: Malachi J. Donnelly, S.J., Censor Deputatus; Imprimatur: Edward J. Hunkeler, D.D., Archbishop of Kansas City in Kansas, 20th April 1955. ©1955 by B. Herder Book Co. © 1973 by TAN Books & Publishers, Inc. Both of these, that is, the spiritual and the temporal swords, are under the control of the Church. The first is wielded by the Church; the second is wielded on behalf of the Church. the first is wielded by the hand of the priest, the second by the hand of kings and soldiers but at the wish and by the permission of the priests. The above correct versions of the document are five different translations by different translators with different wordings — all with the same meaning. Each has the spiritual sword exercised ‘by’ the Church, and the material (temporal) sword exercised ‘for’ or ‘on behalf of’ the Church. The erroneous translation, found on the following several websites, is merely one erroneous version of the document, which has been copied again and again onto different websites. This error is a lesson in how errors spread over the internet. One person asserts an error, and it is repeated again and again. The error becomes associated with websites that are otherwise generally reliable. And this gives the error an apparent reliability that it does not deserve. But then, to correct an error, once it is asserted, is difficult. Gallery | This entry was posted in Magisterium. Bookmark the permalink.